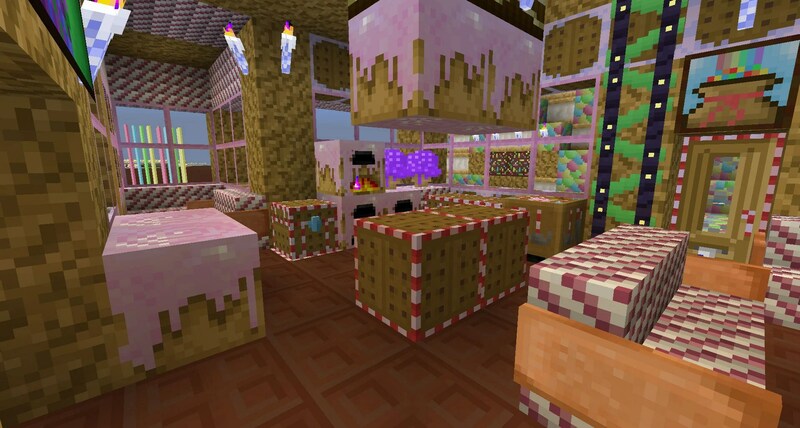 CandyCraft Resource Pack – Minecraft is a game that’s made quite a reputation of itself for many different reasons and one of these reasons is the extremely well executed set of textures. All the textures and visual elements in the game seem to synergize incredibly well with each other which makes the experience highly appealing in terms of visuals in spite of the fact that the game has a rather blocky look. However, no matter how good the game’s vanilla graphics look, there’s no doubting the fact that players will tend get bored of them since they’re seeing the same thing over and over. Thankfully, there are tons of resource packs and texture packs available to make sure that the aforementioned problem doesn’t ever occur for players. Due to there being such a massive amount of these packs available, naturally there are some that are rather lackluster but at the same time there are many others that are absolutely brilliant. Fortunately, the CandyCraft Resource Pack for Minecraft falls into the latter category. It’s a really well executed pack that adds a lot of likeable elements to the game. The purpose of it is to completely overhaul how the game usually looks and it definitely succeeds with that. 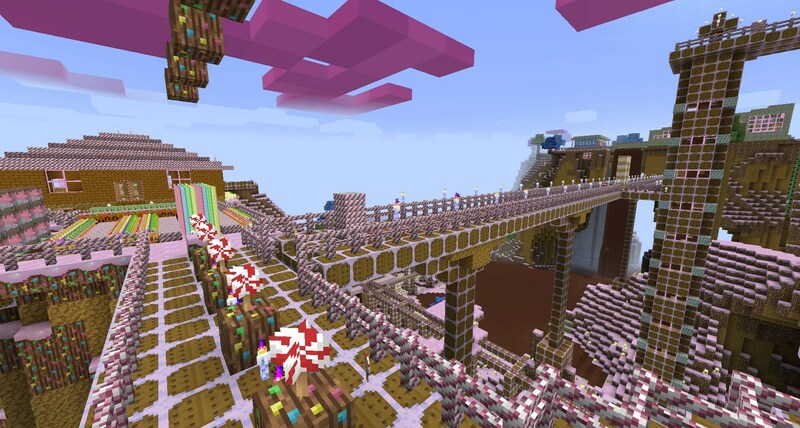 As the name CandyCraft would suggest, this resource pack tries to turn the vanilla Minecraft game world into a candyland type of place. There are a lot of rather absurd things about this pack for example the water has a rather weird color to it and looks like it’s filled with sugary goodness, the standard blocks have been replaced with more colorful and appealing blocks, the trees are made of chocolate and every single thing just seems like something that you could straight up take a bite out of. One thing to keep in mind though is that the color pink seems to pop up quite a lot in this pack so if you aren’t a fan of pink then you probably won’t like most of what the CandyCraft Resource Pack has to offer. Onto the specifics, the CandyCraft Resource Pack for Minecraft is available in the resolution of 16×16 and has been designed for Minecraft 1.8 so if you’re running an older version of the game then you might have some difficulties getting it to function. The pack has been designed by OmniGlitcher and is overall something that many players would enjoy since there are very few people who wouldn’t want to play within candyland. Credits to OmniGlitcher and minecrafttexturepacks. How to Install CandyCraft Resource Pack ? If you do not like this texture, please try the Skyrim Resource Pack.